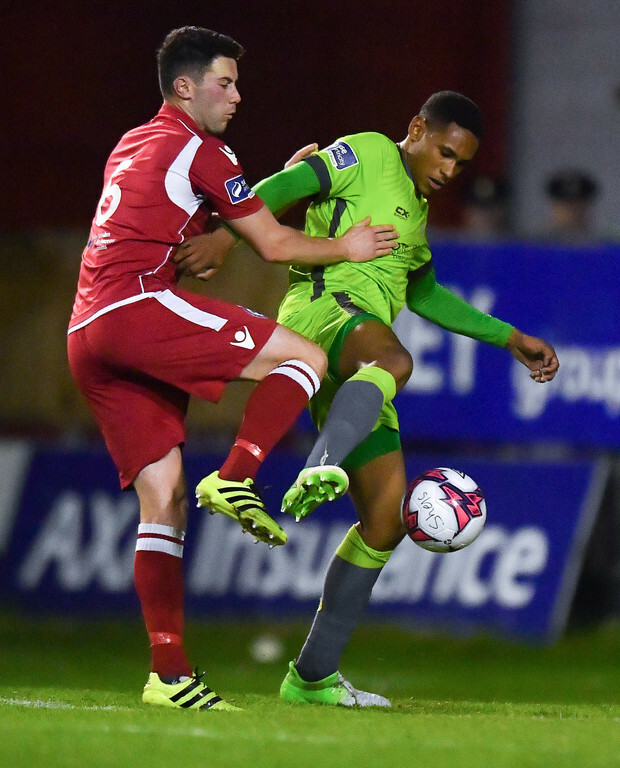 On a docile, dreary April night in Tolka Park, 17-year-old William Hondermarck made his senior debut for Drogheda United against Shelbourne in the EA Sports Cup. Less than eight months later, he signed a professional deal with Championship club Norwich City and trained with the Irish underage team. It’s a rise many desire but few achieve. Another persevering passenger plunging down the well-worn path from Ireland to the UK. “Norwich made sense. They are a club who play young-players in their first team,” explains Patrick Conliffe of Sports Agency company Full Contact. He is Hondermarck’s agent and along with Dan Chapman of the Full Contact UK office facilitated the deal with the youngster, his parents and Norwich. “They are second in the championship now and a few weeks ago their whole back four was 20 years and younger. The last few years their record of bringing through 19-year-olds, 20-year-olds to the first team is very good. The rollercoaster that is professional football continues to accelerate. More financial clout, more commercialism, more cutthroat. Appropriate guidance is more important than ever. William Hondermarck was always destined for the paid ranks. The French-born teen has a physique and technical ability certain to attract attention. In this case, it was three UK-based clubs who came calling. Dundee United and Brentford were also interested. After going on trial with Norwich last November, Hondermarck had a choice to make. That’s where Conliffe’s advice comes in. You weigh up the pros and cons. In this instance, it was down to two different clubs. For Irish players at that age, there is a decision to be made. If you are lucky enough to make a decision and have that opportunity, it’s whether to go into a U23 championship with a Premiership set-up or maybe go to a lower league. Or Scotland, where you might be closer to the fringes of the first team and that presents a quicker pathway to first-team football. Then there are facilities, not just training-wise but coaching facilitates, which might not be as good. In the past three transfer windows, Full Contact has assisted ten players to leave for the UK or elsewhere. Their involvement varies deal to deal, but in an ever-evolving global climate with a vast array of hopefuls, it’s a connection that could facilitate fulfilled dreams. A new wave of Irish talent dawns. These are players forged in the recently established League of Ireland academies. Hondermarck is in the process of obtaining his Irish passport and upon completion will link up with the Ireland U19s and a host of this domestically-developed breed. Players like Ali Reghba of Bohemians, Richard O'Farrell of St. Patrick's Athletic, Aaron Bolger of Shamrock Rovers. Yet for all the hope, there remains lingering despair at the recent record and overwhelming reputation of Irish football. Droplets of promise cannot cloud a neglect-infested problem. “Look, it (the reputation) has definitely improved over the last few years,” Conliffe clarifies. “When Dundalk had their Europa League run, definitely a lot more scouts started coming over. They saw that Dundalk players could compete against top teams. “The likes of Daryl Horgan, Andy Boyle and Richie Towell got moves from there. It has improved, but there is still a bit of a way to go. Compared to how it is seen with Scandinavian clubs because we don’t really have any… some clubs are trying to push their academies and improve things but there is still a bit to go in terms of English clubs viewing our players as high-quality prospects that should command a transfer fee. A major problem for British clubs is benchmarking Irish players. The vast discrepancy in the standard of opposition has resulted in difficulty determining the actual standard of an individual. Thus, trials are part and parcel of the process. 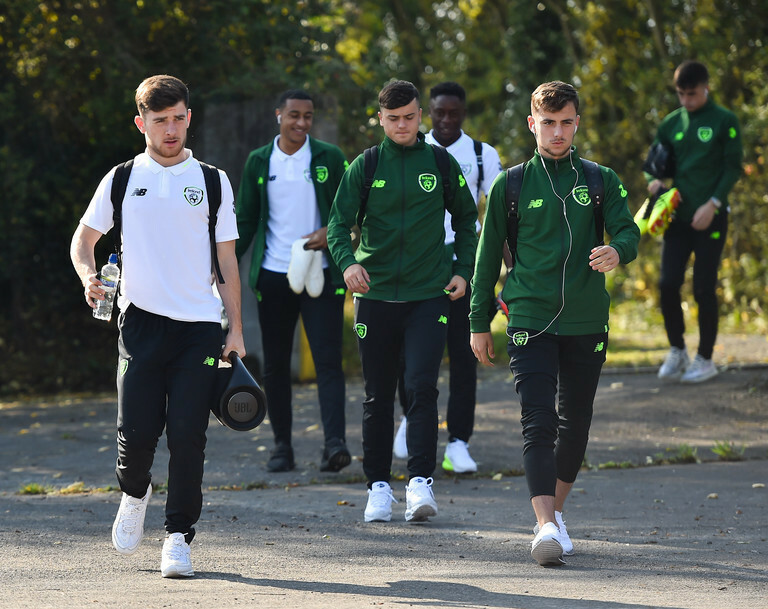 Invariably, some League of Ireland prospects are not willing to go on trial and this operates as a further stumbling block to make it abroad. Of course, in an ideal world, players would not have to leave in the first place. Conliffe cites rugby as an example of an established domestic-based structure where players are developed and prosper internally. This may not be a reality for Irish players today, but with proper government assistance and a meaningful framework, Ireland could rapidly develop its footballing infrastructure. In the medium-term, Full Contact are looking beyond the UK and hoping to pair more Irish players with European clubs. We now use our contacts with foreign clubs to try get them to buy into the Irish market and Irish players. We tried to do it with Ronan Curtis, with a club in Sweden. That was a potential deal but it wasn’t for him. He did fly over and it just wasn’t for him. They were a Europa League team, playing against Arsenal. That was a dynamic club and a dynamic coaching structure looking beyond Scandinavia and the UK. Looking at players in Ireland. There is that kind of example. We have a guy gone on loan at Dordrecht, Simon Power a young Irish winger just went from Norwich. It is about trying to persuade these clubs to get over here, take a few players on trial and take a punt on them. There is plenty of young Irish players not suited to the UK style of football but who are suited to Scandinavia, Spain, Belgium. You need to get a few across and then hopefully it is a domino effect. In closing, Conliffe is positive about the future for Irish prospects, “A lot more scouts are coming over looking at Irish players.” He argues strongly that the recent underage national leagues and academy focus will ensure more Irish players make the trip across the Irish sea. However, “it does depend on Brexit,” he adds with a hesitant chuckle. As for the future, there is no doubt which deals they would like to facilitate. It is here where the eternal gap between the ideal and reality becomes all too apparent. “We would love to be in a position to negotiate contracts for League of Ireland players with Irish clubs to stay here and have a good living and a successful career. If you are not at Dundalk now, you can’t do that. Maybe Cork (City) but after that it is difficult. We would love that situation where we are negotiating with Irish clubs, like rugby does, but that is just not the reality. “Most young Irish players want, and their ultimate aim is to play in the UK or abroad at the highest level possible. They want to play at the highest level and that won’t be in Ireland.